In this respect I have mentioned Suzan Mazur before (see Self-exposure — a journalist out of depth and Suzan does a mini- Monckton). Well she has surfaced again, and again the creationist/intelligent design echo chamber have latched on to her. 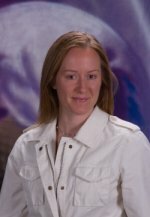 They are making a lot of her interview of Dr. Maggie Turnbull, a freelance Astrobiologist who does some contract work for NASA (see Is Life an ’Artificial Category’? for the interview and At NASA, Another Crack in the Darwin Consensus? for the misrepresentation of the interview). Suzan Mazur:You’ve indicated that the laws of life are being drawn too narrowly, saying you ’mentally resist’ defining the parameters of life because so far we only have one example of it – life on Earth. You’ve also said that ’as scientists we always want to categorize everything, but is it possible that it’s just a continuum of a one-based system?’ Would you expand on those comments? We want to be thinking in terms of a continuum. That continuum can be along whatever parameter – different behaviors, different relationships with other parts of the system. But defining life as a category – as something in a box and whatever is outside the box is non-life – will continue to produce exceptions. Suzan Mazur: NASA’s official definition for life is no longer still limited to ’a self-sustained chemical system capable of undergoing Darwinian evolution,’ is it? Maggie Turnbull: I don’t know exactly what you mean by ’pegged to the Darwinian model.’ NASA supports research in genetics and in mechanisms that allow for survival in extreme conditions. Points out that prior beliefs and rational corrections can co-exist. However, it does require discipline and training to develop objectivity. I suppose like the metabolically challenged, mental gynastics is discarded in favor of lazy assumptions. Maybe I need to get a bit more up to speed around theories of evolution , but I really can’t see how this challenges current thoughts around evolution. It certainly doesn’t support ID arguments. I also disagree with the human in a box analogy in describing the definition of life. A single human in a box, still has the biological potential to reproduce. Grant – I want to know why mechanical engineers, cognitive scientists & linguists would have anything to do with/add to research into the origins of life! That list reads like an attempt by Mazur to get as many supposed experts on ‘her’ side of her false schism. Her list does look like an attempt to load the dice – she’d do better to understand the game properly first and represent it fairly, as Ken was pointing out. Michael – if you consider ID to boil down to â€˜godditâ€™ and that to be an untestable assertion then there’s no theory to to support or reject to start with – ? Most of what Iâ€™ve seen from that crowd are â€˜attacksâ€™ on conventional thinking (that presumably they dislike because it runs counter to their religious beliefs). I agree (you couldn’t possibly not!). Her question was such a muddle it left me wondering if she’d mixed up OOL, evolution and epigenetics. Either way you look at it, itâ€™s pretty weird!